Nicholas Ghesquiere reveals his new vision for Louis Vuitton womenswear, shot at the Louis Vuitton studio in Paris by Juergen Teller. We were kept waiting until the very last day of Paris Fashion Week to finally catch a glimpse of Nicholas Ghesquiere’s new look Louis Vuitton womenswear. It was an anxious debut, with big shoes to fill (Marc was at the helm for 16 years) but Ghesquiere knows his stuff and it seems we had nothing to be worried about. The show was stripped back, where Marc would complement his shows with massive theatrical sets, Ghesquiere took it back to the matter at hand; the clothes. Inevitably, the new Louis Vuitton is different but what did you expect? The collection focused on familiar wardrobe pieces, pieces we wear time and time again, but was also peppered with original designs. As always with Vuitton, the collection strongly features a host of luxurious textiles. From leather coats, leather and tweed dresses, and shiny patent drainpipe trousers. The collection was about contrasts, as Louis Vuitton is, glorious smooth, full-grain leather is contrasted with hybrid materials. Bold, bright colours are juxtaposed with muted halftones. Hand-crafted artisanal techniques are updated with a high-tech twist, known so well of Ghesquiere and nodding towards some of his past work at Balenciaga. The collection tells a tale of expertise made possible by innovative techniques. Ghesquiere has created a timeless yet contemporary collection that will no doubt be a massive success when it hits stores later this year. 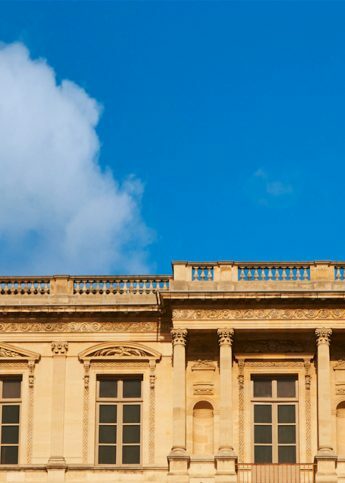 Juergen Teller shot some of the looks at Louis Vuitton headquarters in Paris.